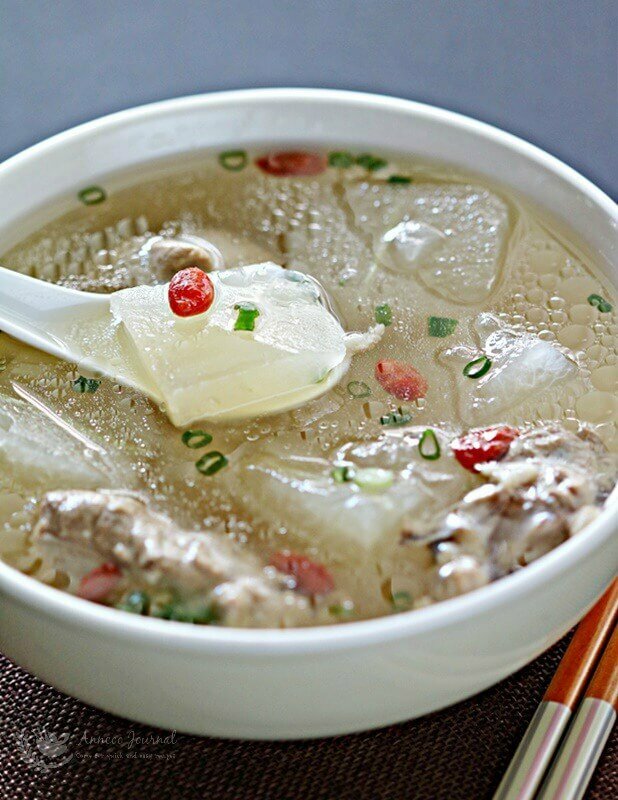 Winter melon soup is often served on the table in many Chinese households. 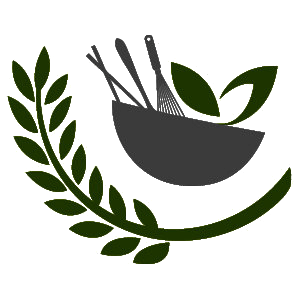 This very nutritious and mild sweet soup is very easy to prepare at home without much fuss and perfect for hot weather. 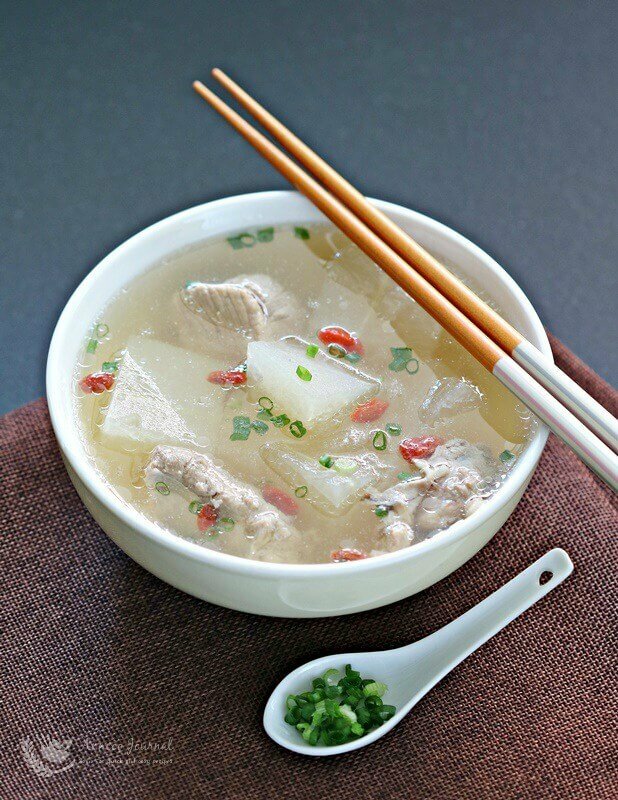 You can find many recipes for winter melon soup online. For this recipe, I used pork ribs (you can use fresh chicken carcass) and only added some dried scallop and salt to enhance the flavour. You may choose to add red dates or honey dates for a better flavour.